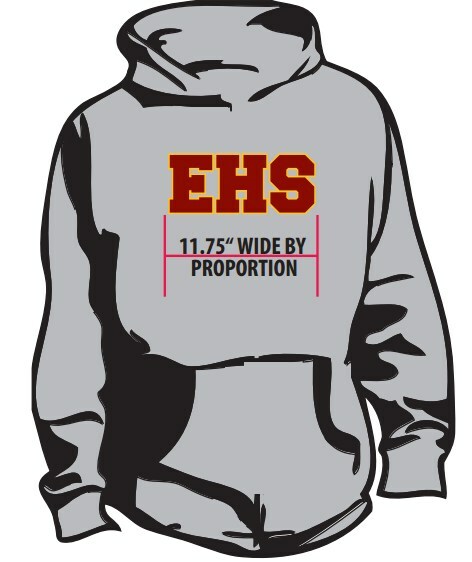 Sweatshirt- grey hoodie with cardinal EHS letters and yellow behind letters. ****Forms are in the office for purchase! 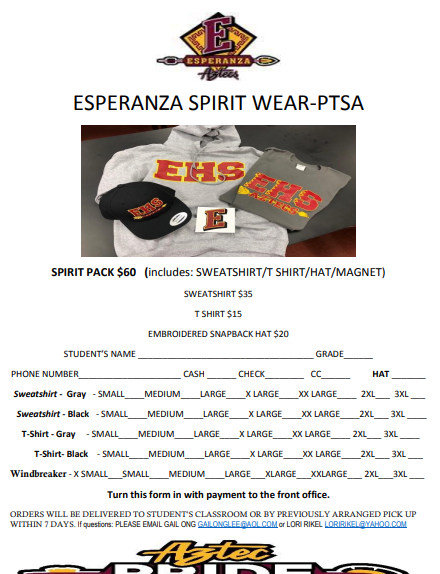 You can also mail checks to Esperanza PTSA, 1830 N. Kellogg Ave, Anaheim, CA 92807. Click on the form attached and make your selection.